The Advocates Coalition for Development and Environment (ACODE), GEC’s local partner in Uganda, recently formed the Uganda Green Economy Learning Alliance, an online knowledge sharing and learning platform on green growth aimed at informing national green growth policy processes. During the month of August 2018, ACODE brought together fifteen key stakeholders, including representatives of government, civil society organisations, academia, private sector, local government and the media, in order to discuss an urgent question: how should Micro, Small and Medium Enterprises (MSMEs) be supported and encouraged to go green? Based on those debates, we’ve pulled together the 4 top tips for helping Uganda’s small businesses get green. The number one strategy that emerged from the discussions was the central importance of supporting new green enterprises right at the beginning, when entrepreneurs are first launching a new business, or an existing business is taking its first steps towards sustainability. Upfront costs for start-ups are often prohibitive, and this is doubly the case for green enterprises, which by their very nature often require additional investment in order to meet environmental standards, or have higher operational costs. Therefore, the participants agreed that new financial incentives and financial extension services should be granted to new green enterprises, to incentivise entrepreneurs in taking the plunge. Representatives of the Uganda Investment Authority argued that special, low-interest loans for demonstrably green MSMEs could be effective, while academics from Makerere University made a case for grants on green technologies and subsidies on renewable energy. Tree Talk Plus, a civil society organisation, further suggested that start-up kits for green businesses could be a valuable way of building capacity and sharing knowledge. Government policy is clearly a vital area, and the participants had many ideas for how Uganda’s legislation and regulatory environment could be adapted to promote green and sustainable business practice. Public procurement was one policy option recommended by several participants. The Directorate of MSMEs at the Ministry of Trade, Industry and Cooperatives suggested that public agencies could be required to source a certain percentage of specific goods or services from accredited green businesses, thus helping to drive demand and encourage new firms to enter the market. Representatives for the Ministry of Finance, Planning and Economic Development agreed, and added that these procurement thresholds should also consider mandated social practices on labour and work safety, so that governmental buying power was achieving maximum impact. Representatives from the National Planning Authority, Uganda’s major planning agency, stressed the need to engage MSMEs in on-going green policy processes, such as the development of a green public procurement policy and a green manufacturing strategy. Participants from Operation Wealth Creation, an intervention under the Uganda People’s Defence Forces that is in charge of distributing free seedlings and other planting materials across the country, suggested that awards to recognise good green practices could be effective, and encouraged more government investment to clean up existing environmental damage. Any industry stands a better chance of success if it works together to leverage influence and share success, and that’s doubly true for innovative sectors trying out new approaches like green business. Much discussion revolved around the importance of collaboration. The Uganda National Alliance on Clean Cooking emphasised the need for green MSMEs to team up and form cooperatives or alliances, in order to benefit from the power of collective action and improve on their access to finance and markets and increase their capacity to meet high market demands. The Uganda Investment Authority suggested that green MSMEs could band together by activity or sector – for example, waste recycling – so that the government can better assist the sectors in identifying niche markets, negotiating tenders and providing advisory services. Representatives from Local Government, Uganda’s major service delivery units, underscored the need to document, share and scale up experiences and lessons from MSMEs that are already green including those supported by the Uganda Green Incubation Programme. Representatives from the Directorate of MSMEs at the Ministry of Trade, Industry and Cooperatives stressed the need for coordination among institutions that support MSMEs, creating linkages between green MSMEs at the local, regional and international levels, and perhaps the introduction and use of a green manufacturing mark or label, so that sustainable products and services could be readily identified by consumers. Most participants also agreed that supporting green MSMEs to grow mainly requires sensitising the public about green issues. They argued that many Ugandans were not aware about green technologies and green products, nor about why more sustainable practices are increasingly necessary. Arguably, creating demand for green products and services amongst the general public will be the most powerful tool of all for incentivising the business community to take up the challenge of greening Uganda’s economy. 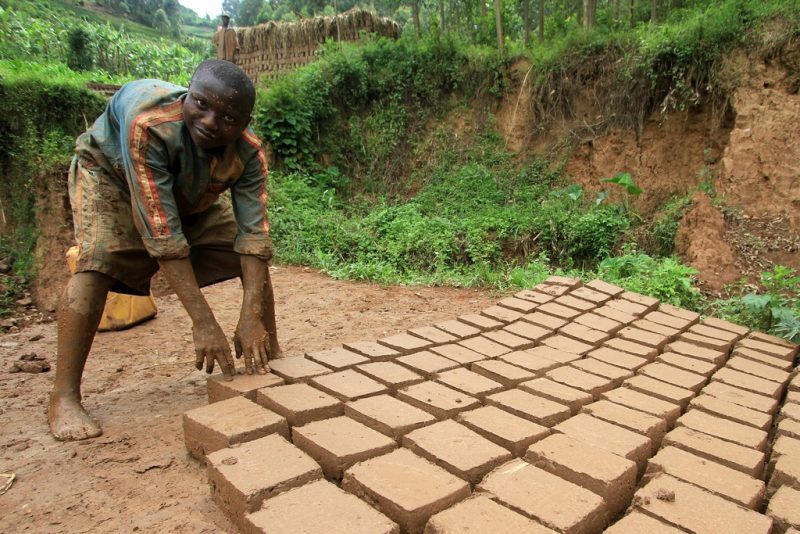 The inclusion of green growth in Uganda’s education syllabus, government-funded awareness campaigns, and publicly sharing information on the benefits of the green economy, were all recommended. Of course, with any discussion such as this, there are differences of opinion and far more ideas and suggestions than can be summarised succinctly here. But the process of debate and agreement is a vital one for forging links between different members of Uganda’s green business community, and ACODE is looking forward to continuing the work of the Uganda Green Economy Learning Alliance as it addresses new topics and continues to grow the discussion. Look out for more here soon – or, if you’d like to get involved, do get in touch!